ARTURIA | "3 Compressors You'll Actually Use"
Following on from 2018’s “3 Preamps You’ll Actually Use” and “3 Filters You’ll Actually Use”, French plug-in manufacturer Arturia have released a suite of three classic compressor emulations based on the Urei 1176, dbx 165A and Gates Tube-STA valve broadcast compressor. 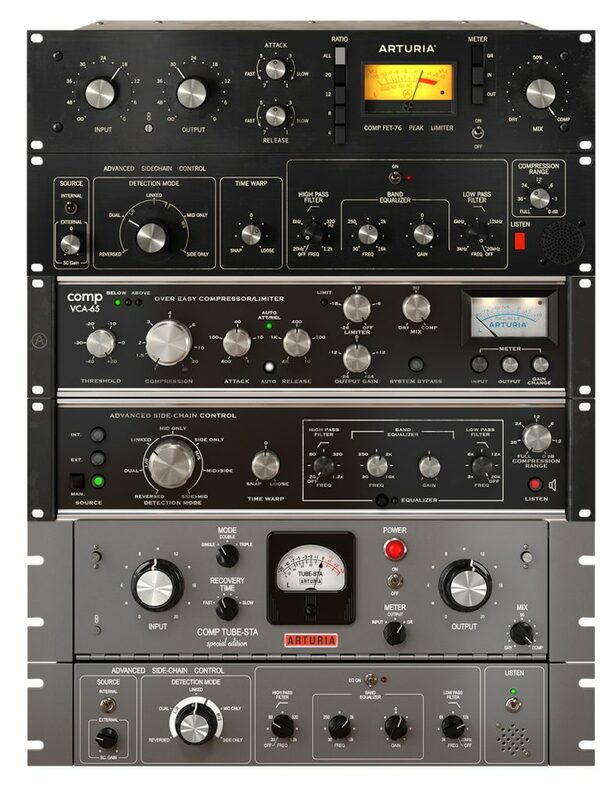 Using their effective “True Analog Emulation” technology, the plugins aim to accurately model the original vintage pieces, while adding additional functions not available in the originals including look-ahead, mid-side processing and external side chain. Currently available at an introductory price of $99 from their website. The much anticipated FlexBase25 stereo LF extension system was finally debuted at this year's show. More than a simple subwoofer, FlexBase25 turns two-way monitors into a coherent full-range monitor system. As the name suggests, a variable crossover frequency range between 35-260Hz and stereo width adjustment makes FlexBase25 suitable for use in both small and large rooms and is compatible with the entire Amphion range from the diminutive One12 upwards. Black Lion Audio have released The Bluey – a modified “Blue Stripe” compressor based on Chris Lord-Alge’s modified Urei 1176 Rev A/B “golden unit” which he uses to great effect on vocals. Black Lion have had the lid off the original unit and analyzed it in painstaking detail to recreate their new offering including some nice additional touches including Wet/Dry mix control for parallel compression and a Cinemag remake of the original UTC transformer. How did this come about? 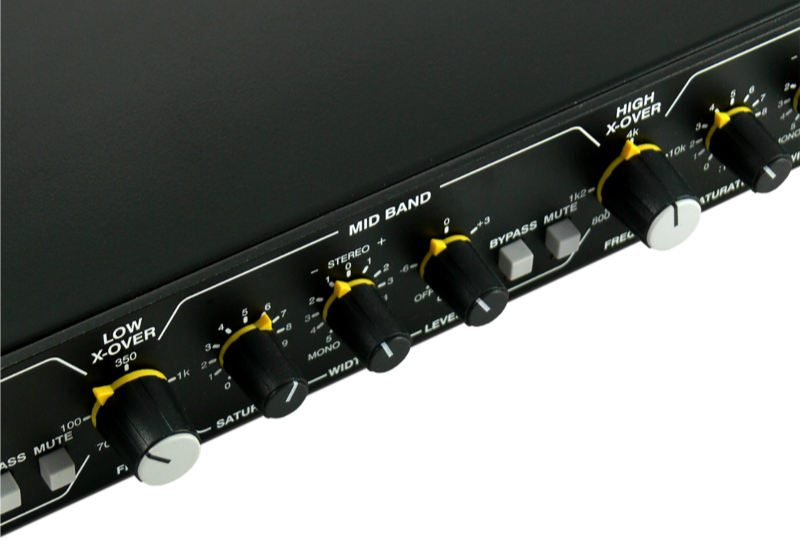 Chris Lord-Alge simply wanted more units like the original – and at a price of £899 this is set to be a winner! Presonus are now shipping their flagship StudioLive 64S mixer. This flexible hybrid mixer is aimed at recording studios, live sound production and for use in touring applications. The compact format manages to pack in 76 mix channels, 43 buses and 526 simultaneous effects, powered by their all-new FLEX DSP quad-core processing. Up to 32 FlexMix buses can be freely configured as Aux, Matrix or Subgroups and a comprehensive digital patching system provides unparalleled flexibility in this price range. 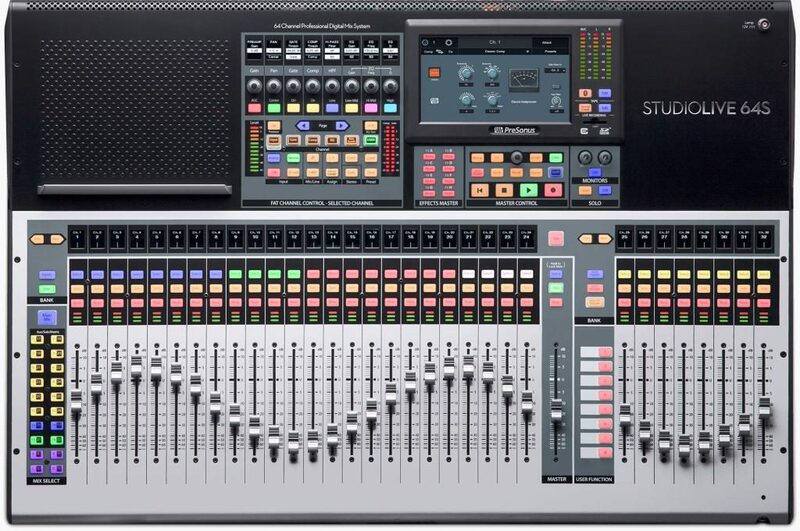 The StudioLive 64S is the most powerful mixer in the Series III S range – providing 64in/64out audio paths over USB with automated faders for mix automation and DAW control. Pricing has been set at $3999. 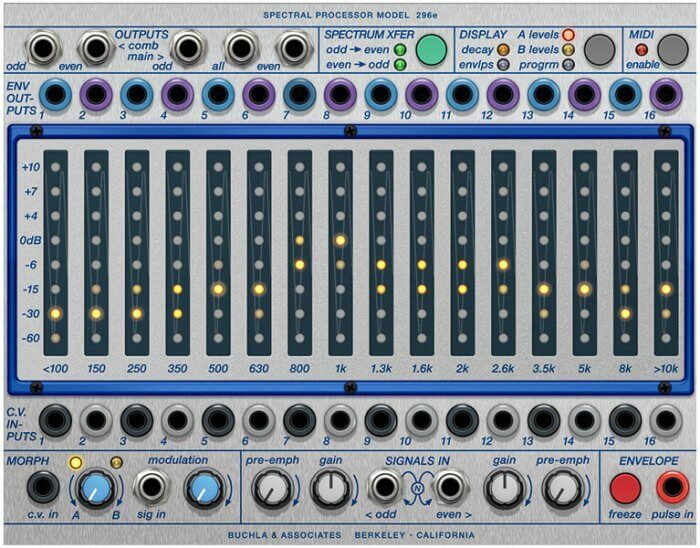 The new Buchla 296e Spectral Processor plugin has been added to Softube's great sounding Modular Synthesizer plugin. The plugin is officially licensed and endorsed by Buchla and like the original hardware, offers 16 band-pass filters each with its own VCA and envelope follower – providing a powerful tool for duties as a filter, vocoder or powerful sound shaping tool. If you’re struggling to afford the original £3000 hardware module, this $99 emulation could be just the ticket! Eventide have released a software emulation of their vintage 1975 Instant Flanger – famously used on David Bowie’s “Ashes to Ashes” and Cyndi Lauper’s “Time After Time”. Promising “the great sound of tape flanging”, Instant Flanger Mk II can be used for anything from subtle sweetening modulations to extreme flanging effects. Existing owners of Eventide’s Anthology Bundle can download the new plugin for free – otherwise it is available for a limited time for a bargainous $37. 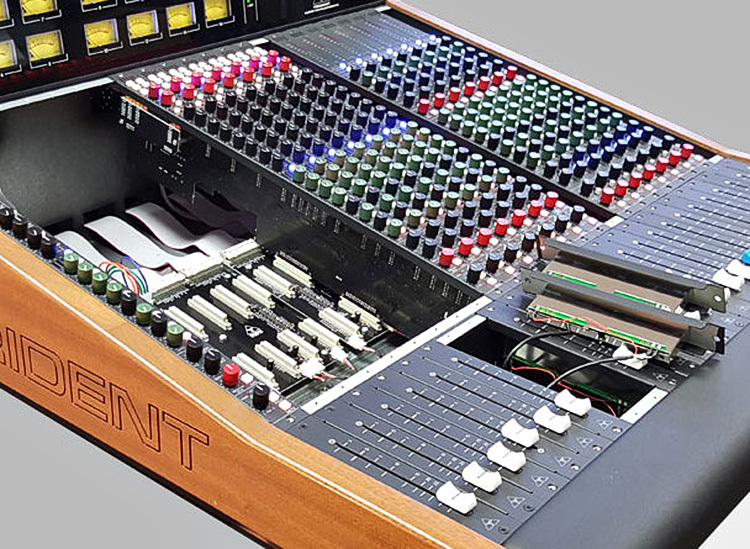 Trident were showing the two latest offerings in their growing range of large format recording consoles. The Series 88C (originally introduced at this year’s NAMM show) is a fully customizable console with integrated stand. It is a traditional in-line, 8-bus analogue modular design that builds on the heritage of the much-loved Series 80 vintage console. A departure from previous 80 Series consoles are new discrete Class A preamps (with optional Lundahl transformers) @65dB gain which significantly improves the stock preamps. Series 68 is a new entry-level console aimed at smaller project studios. Another modular in-line design, the desk offers comprehensive features including a 4-band equalizer identical to that used in the classic Trident Series 80B console, 6 Aux sends (all selectable pre/post) and Class A discrete preamps. Venerable British manufacturer Drawmer announced their new 1974 4-Band Stereo Parametric Equalizer and 1976 Stereo 3-Band Saturation & Width FET Processor. 1974 has one set of controls for both channels for true stereo operation. Variable LPF and HPF filters tune out any unwanted signals with fully variable bandwidth control over the parametric mid-bands. Detented potentiometers aid accuracy and recall. 1976 is designed to inject analogue character, colour and presence for both studio and live sound applications. The stereo width of the 3 bands (low, mid and high) can be adjusted to add life and depth to mixes. Designed and manufactured in the UK, the units are set for release in the summer. Genelec aim to redefine headphone monitoring with their new Aural ID software technology – “a significant first step in improving the trustworthiness of headphone listening”. Drawing parallels with the way Genelec’s GLM software optimizes their studio monitors to any acoustic environment, Aural ID aims to optimize headphone performance for individual users and create a true reference listening experience for audio professionals. Aural ID requires the user to provide a 360 degree video of their head and shoulder region taken by mobile phone. Genelec’s web-based calculation service then creates an accurate 3D model of the user’s dimensions – especially focusing on the external ears – to create a customized personal profile. This new release is a software version of Vertigo's highly desirable VSC-3 quad discrete VCA compressor. We’re big fans of Vertigo here at KMR and the hardware version of the VSC-3 sounds simply fantastic – my wallet is hoping this budget-friendly software version is as good the manufacturer claims! British boutique synth innovators Analogue Solutions have announced their new Impulse Command – a true stereo, semi-modular desktop monosynth/”sonic realizer”. Packed with features including dual dynamic analogue oscillators, analogue filters, stereo digital effects, 16-step MIDI loop sequencer and step sequencer with an intriguing "Reorder!" function, the synth claims to be able to sound like several simultaneously-playing synthesizers. This all sounds a bit dry on paper, but have a quick look at the video below and it immediately becomes much more interesting! 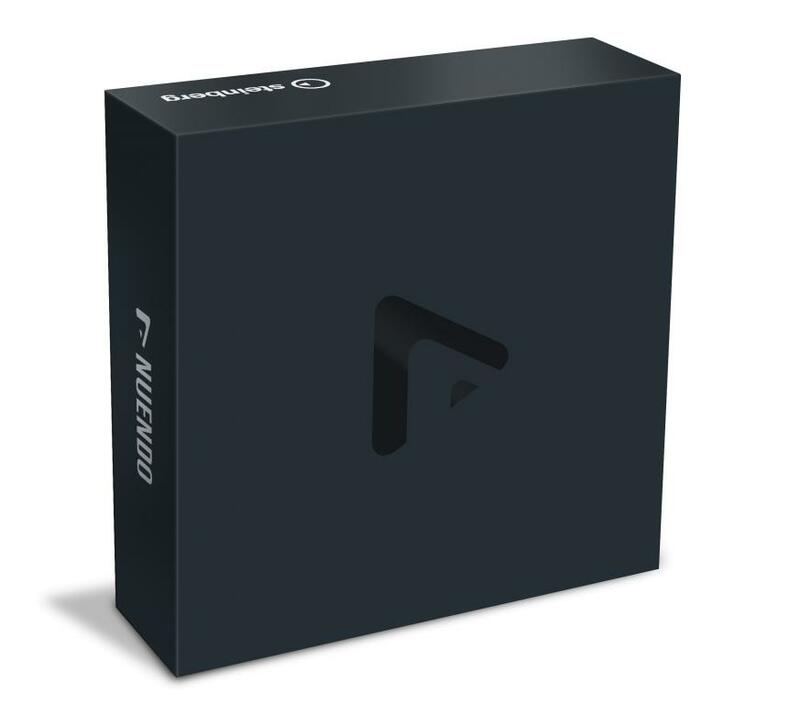 Nuendo 10 adds more than 40 new features and a redesigned user interface to the latest release of this popular media production software. The platform has a broad following in audio post-production and game audio design and many of the new features are aimed specifically at these users. Headline additions include Video Cut Detection for analyzing videos for edits and automatically setting markers, VoiceDesigner for modifying voice work and dearVR Spatial Connect support for VR mixing. Rode have announced their new Wireless GO system – the world’s smallest digital wireless microphone/receiver combination. Wireless GO includes a compact on-camera receiver (with hot shoe or clip) and clip-on transmitter with built-in microphone. Users can add a headset or Lavalier to the transmitter for extra flexibility. The receiver connects directly to camera or to a smartphone using an optional cable allowing instant capture with no need to sync audio afterwards. Battery life is an impressive 7 hours (built-in rechargeable batteries) with a range of up to 70m. Up to 8 systems can be used in one location. 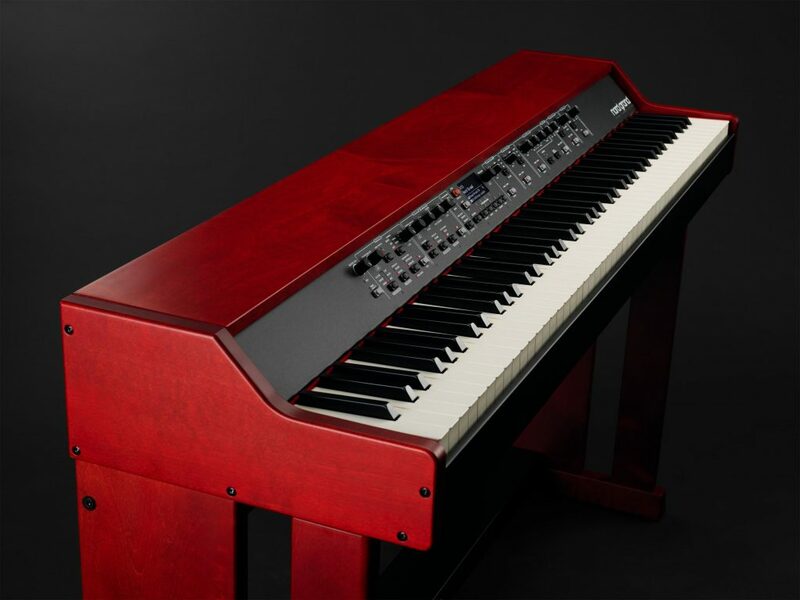 Nord Grand is their first stage piano to feature triple sensors that track movements on the hammers (rather than the keys) for the smoother dynamic touch of an acoustic grand piano. 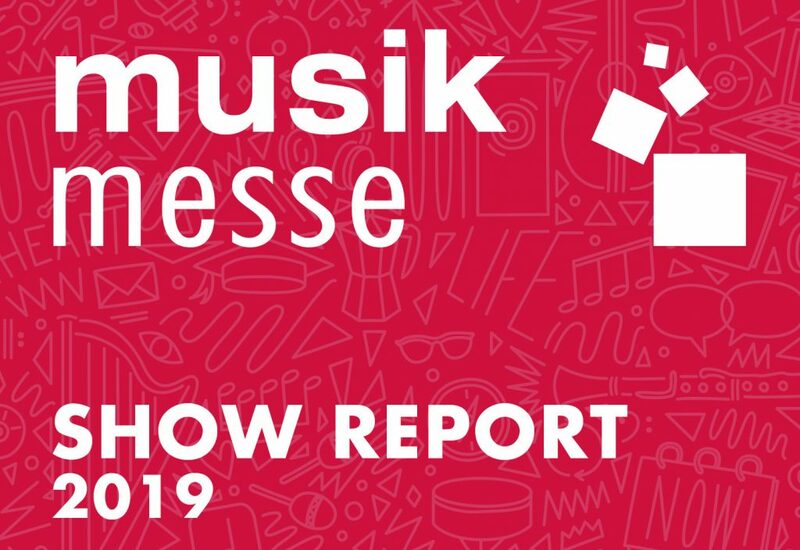 Features include a 88-note Kawai advanced hammer action keybed, 120 voice polyphony, 2Gb memory for the Nord Piano library, 512Mb memory for the Nord sample library, a dedicated synth section, seamless transition when changing programmes and high quality effects. Pre-ordering is available now with a price tag in the UK of £2999 inc VAT. 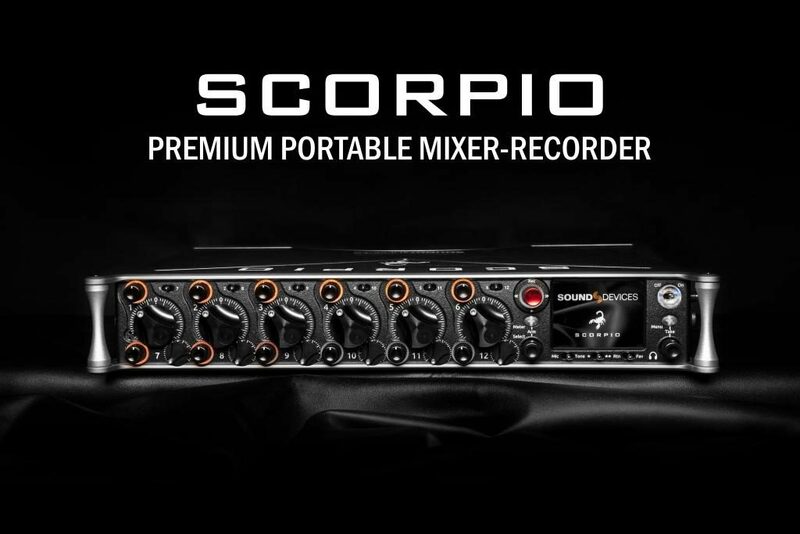 Location recording meisters Sound Devices have added the new Scorpio 32 channel, 36 track mixer-recorder to the top end of their product range. This flagship product is aimed squarely at high-end professional field recordists with features including 16 premium mic/line preamps, 32ch Dante I/O, AES/EBU I/O, 12 analogue outputs and multiple headphone outputs. A comprehensive routing matrix allows users to send any input to any output. Two built-in SD cards allow redundancy and an Android app provides control from a larger screen. Shipping is expected in late Spring. Radial have a track record of manufacturing genuinely useful, robust problem solvers. DiNET DAN-TX2 and DAN-RX2 are 2-channel interfaces for use with any Dante or AES67-compliant network utilizing low-latency audio-over-ethernet and 24bit/96kHz converters. 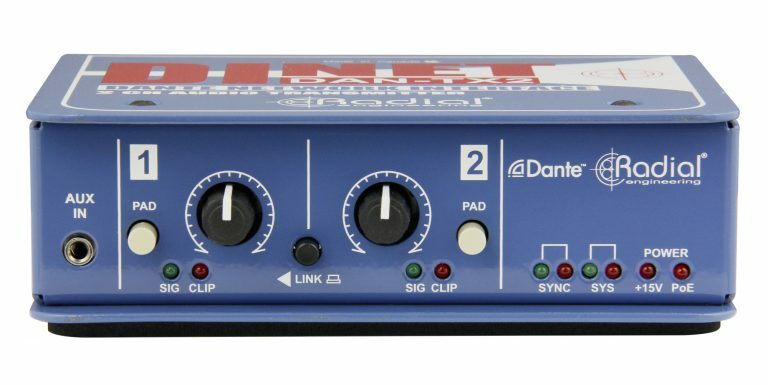 The DAN-TX2 feeds any line-level audio signal into a Dante network, while the DAN-RX2 feeds it back out with the inclusion of a headphone output for personal monitoring or testing. Well priced at $399.